My mom and I frequent the CHANEL counter at Hudson’s Bay in Yorkdale Shopping Centre A LOT. It’s a good/bad thing when every sales associate and special event make-up artists knows who you are. 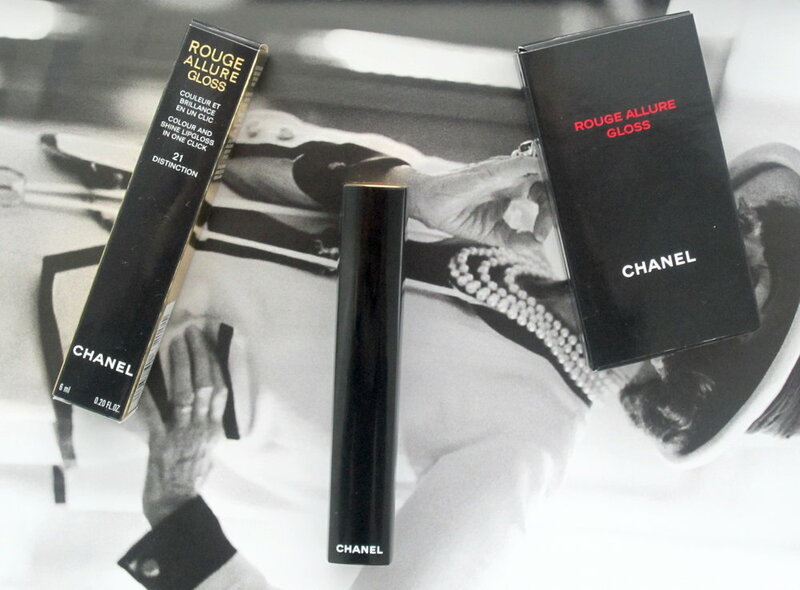 Once again, my mom and I found ourselves at the CHANEL counter but this time is was extra exciting because we got the first peeks of the Rouge Allure Glosses! The amazing make-up artist who put these lovely glosses on me said that Canada is actually the first country to get these glosses (they will be available at Hudson’s Bay next week). The Rouge Allure Glosses are definitely luxurious. They are in opaque square, black tubes with a click release top like the Rouge Allure lipsticks (this lip gloss is ACTUALLY popping). Definitely a fancy way to apply your gloss, you will look incredibly chic doing so in public. I can imagine someone like Rachel Zoe pulling one of these out and applying it before a CHANEL show during Paris Fashion Week. The glosses are nicely pigmented (definitely more so than your average gloss) and moderately sticky, I wouldn’t wear these with my hair down during a windstorm. To compare, I found them less sticky than the CHANEL Lèvres Scintillantes Glossimer lip glosses. I bought shade 21 Distinction, a lovely deep blackberry colour (blackberry juice colour, not the colour of the actual berry) that I think is perfect if you're not incredibly comfortable sporting a darker lip. Every beauty lover knows glosses won’t last forever, but I found that Distinction fades really nicely into more of a ripe raspberry, deep red. You won’t go from glossy lips to absolutely nothing; you will be left with a light stain for an extra few hours. If you’re not a deep berry lip person, all the pinks and reds are equally as pigmented and luscious. My mom got on really well with a lighter coral pink shade, which I’m happy she purchased because I am definitely going to be borrowing it. If you’re in the market for a luxury gloss, this is a great range to try. Will you be trying the Rouge Allure Glosses?